Club Penguin Cheats by Mimo777 Club Penguin Cheats by Mimo777: Club Penguin Music Jam Reviewed By You! Hey Club Penguin! I love the music jam! My favorite part is how there is so many different styles of music. I also love going to penguin's own music jams at their igloos! Oh, and I love how the Penguin Band floats in this year and their rocking new threads! Oh, and I hope to meet Candance and the Penguin Band. Waddle on!! For next week's Reviewed by You, Club Penguin wants to know about the very first time you logged on to Club Penguin. What did you like the most about it? Hmm, what is your first memory? I know mine, or at least my first FAVORITE memory! I was playing on a computer near 9China9 as she discovered the hidden Dojo for the first time! We were, like whoa! So, what is your first memory? P.S. My first pin is the red shovel pin, CP's 50th pin. There are new igloo tracks!!!!! My first memory was when I logged in and the mexican party was still on. I got a sombrero and the first maracas. I also got a poncho! 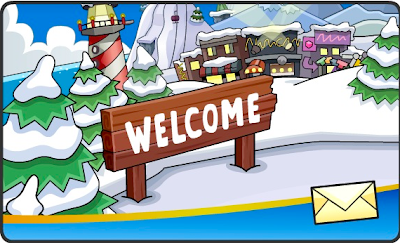 My first memory is when I logged on Club penguin, and there was an earthquake! I didn't know it was Herbert until I was a secret agent. Then about a week later was my first party, the water party (note: I joined club penguin on June 5, 2008. Good times! My first memory was creating the account and then discovering the free items at the 2006 beach party. A yellow duck inner-tube and orange water wings. the very first time i logged into clubpenguin my account was named Crzycorey (later i made a new one called mario30206)me and my brother were helping dig up the new dojo!we were the only two of four brothers that play club penguin that got the sandals. My first memory of CP is logging on and going into the pizza parlor and getting my first pin which was the apple pin!! !